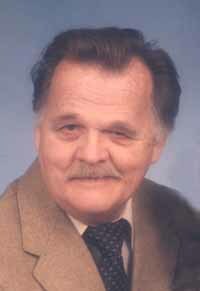 Delbert D. Burris, 73, of Breese died Saturday, June 28, 2003 at his home. He was born in Carmi Il May 31, 1930 to Charles and Eura Lena (Wilson) Burris. They preceded him in death. He married Dolly Jackson August 29, 1959 in Shawneetown Ill and she survives. He was a quality control manager for Cooper B-Line in Highland, a veteran of Korean War and a member of the Centralia VFW Post 2055. Other survivors include, son John Burris of Breese and a daughter Deb Schadegg (and friend John Hollenkamp) of Centralia. He also has a brother Morris Burris of Carmi and a sister Margaret Dagley of Carmi, 2 grandsons Greg Schadegg (and fiancée" Niki Edster) of Breese and Austin Burris of Breese. He was preceded death by Sisters Imogene Acker and Ermal Dial and twin brother Elbert Burris and brother Dallas Burris. Funeral services will be held Tuesday July 1, 2003 at 11 am at the Moss Funeral Home in Breese with Rev. William Jackson officiating. Interment Ellwood Cemetery in Breese. Friends may call at the Moss Funeral Home in Breese Monday June 29 from 4 to 9 Pm and Tuesday July 1 from 8 am until 11 am. Memorials can be made to VNA-Tip Hospice and will be received at the funeral home.